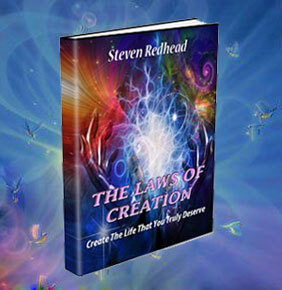 Each of us are the creators of the world that we perceive. 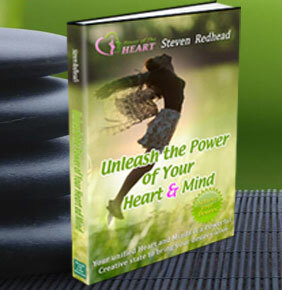 We are able to make our life whatever we want it to be; all it takes is the focused effort to clearly imagine what we want, then through ceaseless desire, linked to the belief that our desires will become true. These four pillars of imagination, focused thought, desire and belief, never giving up, and persistence, will create in reality the things that you desire as the master of your known universe. Our reality is based solely upon our desires that are brought to life by our imagination then given credibility by our belief in them. We create our life from the pieces of reality that we bring to life. No matter how difficult it may be to believe you did create everything that you experience, all that you perceive is of your own making. Many don't fathom this understanding of creation, that we each create our own reality; that we have the power to make reality whatever we wish it to be. The quality of life is governed by the effort you put into giving life quality and meaning. Many people live life as it comes, living day by day, following the tides of fate rather than creating their own destiny. We have the choice to either do nothing toward creating our future, letting others decide our fate; or take full control of our life now, not tomorrow or next week but now. In life we have the chance to control our experiences though our desires, we can create a life that is worth living; that is full of rich, wonderful memories. Life is fleeting, delicate in many ways; sometimes situations can change 180 degrees without any prior warning. Allowing fate to dictate our life is a major mistake, as we will never be really sure what direction we are going, with literally no ideas at all of how things will work. Only through continually imagining what we desire, then pursuing what we want unceasingly with the belief that it will become true can we have any idea what our future fate will be. Unless we take care others will try to control our life and our desires with their imposed wishes; without caution we end up doing the bidding of others, rather than following our own dreams. In the modern world we tend to be required to surrender our life more and more, giving autonomy over our destiny to others and society. Whenever we do surrender our will to others we give away something precious. Others will tend to try to influence us in many ways, basically in order to get us to do something that is of benefit not for us but for them in one way or another. We should avoid falling pray to the demands that others make upon us, especially if what they want is different from our choices or ideas, or serves no benefit to us. Always aim to follow your own path in life and not that of someone else; for if you follow the desires of others then in the long term it will only lead to regrets and disappointment. Life is our chance to take the time that we have to create a wonderful world, the best experience possible for ourselves as well as the ones that we care for. We can never relive the past, therefore without regrets we should only pursue the things that we wish for the future. It's surprising how much of our life is controlled by others. We all have numerous external influences impacting our life in various ways; therefore it is critical that we ensure these don’t affect us immensely therefore we should take sufficient care to reduce their impact upon us. Others mostly have their own agendas to achieve something, but this doesn't mean that we need to follow them; we must always keep our own best interest at the forefront of anything that we do. 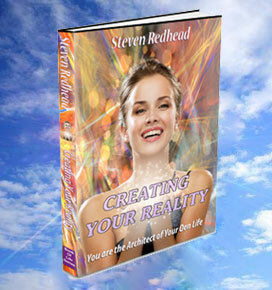 Creating Your Reality Videos: Life was never meant to be taken seriously, it was meant to be a joy. Your Creative Powers: The most difficult thing is to keep focus on a desire long enough for it to become real. ‪The Power of Creation‬: You are the creators of your own perceived reality. Don't be a creation of circumstances. The quality of life that you have is solely determined by the effort you put into giving your life value, purpose and a reason. Always keep focus on a desire long enough for it to become real. Your life is the result of the accumulated choices you have made. Infinite possibilities exist if you are prepared to pursue them. Your reality is an accumulation of what you have thought about and wished for.